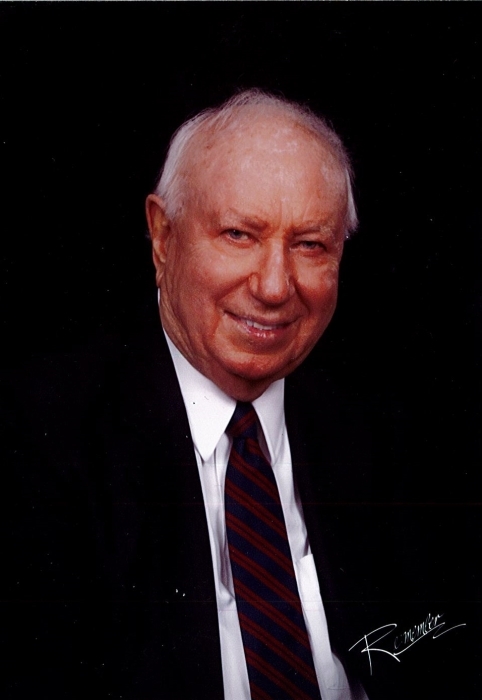 Boardman: Joseph Parlink passed away March 24, 2019. A lifelong Youngstown native, Joe was born on August 27, 1928. He developed an interest in music as a child. At the age of 10, he started taking percussion lessons at the Strouss Music Center. Joe later attended East High School, and he began studying percussion with a world-renowned teacher and publisher, Charles Wilcoxon in Cleveland, Ohio. At the age of 15, Joe performed locally and professionally at The Elm House and Idora Park Ballrooms. After graduation in 1947, Joe went on the road and played with numerous big bands across the country. He entertained in theaters, hotels, ballrooms, and resorts. He also participated in professional radio broadcasts and recording sessions. During that time period, Joe continued to study percussion with some of the best known teachers throughout the country from Chicago to Los Angeles. After being drafted in 1951, Joe became the principal percussionist with the 3rd Armored Division Band in Fort Knox, Kentucky through 1953. With the help of the G.I. Bill, Joe attended Youngstown State University earning a bachelor's degree in music education. He subsequently taught music in the Brookfield Public School system for 17 years. Joe was later hired as the Professor of Percussion Studies at Youngstown State University. He retired from Youngstown State University in 1996 after a prestigious 24 years of academic tenure and was awarded Professor Emeritus status. Throughout his teaching career, Joe continued to play professionally within his community. He played for over 20 seasons with the famous Kenley Theater of Broadway Musical Productions. Joe performed as the principal percussionist and a featured soloist with many well-known local bands and orchestras including The W.D. Packard Band, The W.D Packard Swing and Dixieland Band, The Youngstown Symphony Orchestra, The Warren Symphony Orchestra, and The Youngstown Chamber Orchestra. He also played in several big swing/jazz bands along with many private and local professional groups. Joe was preceded in death by his father, John Parlink; mother, Lucia Parlink; sister, Antoinette Parlink; brother, Albert Parlink; brother-in-law, John Johnson; and nephew, James Johnson. Joe leaves behind his wife of 46 years, Rachel; daughters, Joely Johnson (Alan Johnson); and Dr. Alison Protain (Dr. Joseph Protain); grandchildren, Jacob Johnson, Sarah Johnson, Josie Grace Protain, and Alexander Protain; sister, Mary Johnson of Winter Park, Florida; sister-in-law, Beth Smith (Tom Compton); sister-in-law, Rebecca Albers (Ronald Albers); nieces, Karen James (Richard James), Mackenzie Compton, and Florence Parlink; nephews, Michael Albers and Oliver Albers (Danielle Albers); and several great nieces and nephews. There will be a memorial service on Thursday, March 28, 2019 at 6:00 pm at the Davis-Becker Funeral Home, 8536 Market Street in Boardman with Pastor Jim Garber officiating. Family and friends may call from 4:00 to 5:45 p.m. at the funeral home, prior to the service. In lieu of flowers, the family requests contributions be made to the Juvenile Diabetes Research Foundation (JDRF), Northeast Ohio Chapter, 6100 Rockside Woods Blvd., Suite 445, Independence, Ohio 44131.